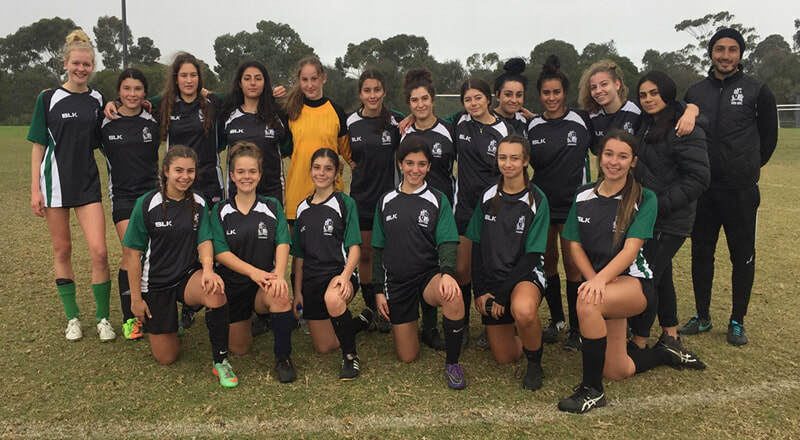 On the 21st of May SSC girls’ intermediate soccer team went unbeaten in their Moonee Valley district tournament at Cross Keys Reserve. The girls won all three of their matches scoring an outstanding 23 goals and conceding 0. Dimitra Karantzilis starred for Strathmore scoring 12 goals. Goalkeeper Alexi Kasteliotis kept a clean sheet between the sticks, rarely being tested thanks to her organized defence. A notable performance by Stella Vlahos, who was instrumental in the teams’ dominance, showing composure and poise when in possession of the ball. It was a fantastic team effort on the day. The girls now await the draw for the Western Metropolitan Region finals held on August the 1st. Thank you to Jack Cameron, Teli Stragos and Luke Ganino for helping out on the day. Well done girls!